Android phones have always been good with security as they come with a lot of security features for the safety of your phone and all the data inside it. It offers you to put password/pin/pattern as a lock before getting into the phone. Being human, sometimes we forget the pin for unlocking. Everyone has been there for once in their life. This article is based on the ways which you can follow to unlock your phone when you forget your pin. Note: Make sure your phone is fully charged when you’re trying to unlock it by the methods below. Don’t forget! if you don’t remember your phone pin. Now, you can easily bypass or disable your android pattern. For this purpose you’ll have to use ADB (Android debugging bridge) tool. You can download it from it’s original website. To make it work you can use it on Window PC or Linux. It will allow you to easily bypass your pattern but make sure you’ve enabled USB Debugging in your phone to use this method. Open command prompt, type adb devices and Press Enter. 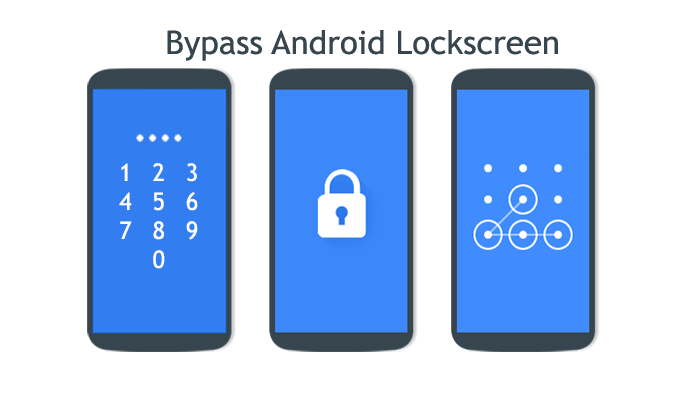 When you buy a new smartphone for daily use, make sure you download SMS Bypass Lock-screen Android App just in case you forget your password one day. Then you can easily revive your password by sending Sms from another Android phone. This is a very effective method and works for all Android phones. For this method to work you have to make sure that your phone is connected to WiFi or mobile data. Now, when you’ve entered wrong passwords for a several times it automatically locks your phone and gives you password recovery options. From those options, select Google account and type the password for your gmail and your google account password. If the password you enter is correct then the lock will open. Some of the times this method doesn’t work because your mobile WiFi is turned off and there is no Auto turn on option. Make sure you turn on the Auto turn on option for emergency situations like these. I’m sure you’d find this helpful. We emphasize that these methods should be used for educational purposes only.